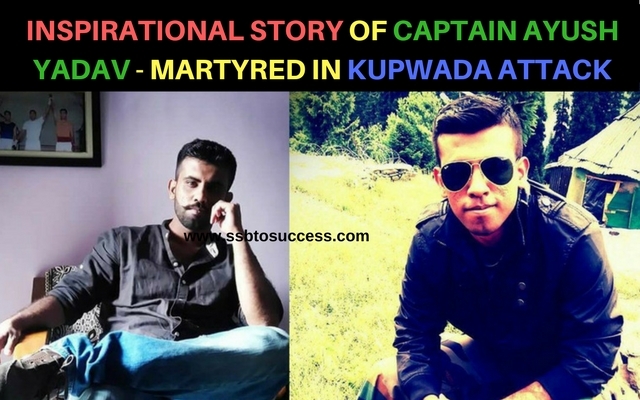 Soon after the mishappening of Sukhna encounter in which 25 CRPF soldiers lost their lives, the incident of Kupwada took place. In the Kupwada Terrorist attack we, unfortunately, lost three of our brave soldiers. The martyred soldiers are Captain Ayush Yadav, JCO Bhoop Singh Gujjar Dussa and Naik Venkat Raman. Captain Ayush Yadav was the youngest among three. The 25-year-old captain was the resident of Kanpur, UP. He was the only son of his parents. His father is Mr. Arun Kant Yadav who is an inspector in UP police. Captain Ayush was commissioned in the army through NDA (National Defence Academy). He had been in service for the last three years. To participate his sister’s marriage function, Ayush recently comes on ten-day long leave in February this year. Ayush’s sister Rupal works in a bank as Manager. Captain Ayush’s grandfather had also served in Royal Air Force. In a typical commando style, three armed militants descended down the wooded mountains and tip-toed towards the Army Garrison at #Panzgam in Kupwara at 4.30 today. When they began cutting the fence, soldiers on duty challenged them. The three militants had not expected this. They fired at the guards and tried to rush towards the living quarters. 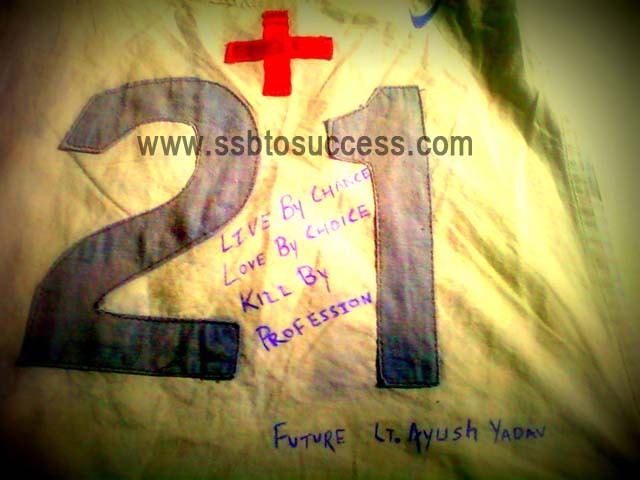 Captain Ayush Yadav was woken up by the deafening sound of the gunfire. He sensed something ominous. He threw his blanket away, grabbed his AK 47 and rushed out. The militants were inching towards the living quarters. The young captain charged at the militants and halted the three in their tracks. The young officer was hit with bullets but he held on and didn’t allow the militants to proceed. That gave enough time for the troops to retaliate and pin down the militants. “Capt Yadav was martyred while preventing the militants from reaching the living quarters.” said colonel Surav Joshi after the encounter ended. Two militants were killed in the encounter. “The attack took place at 4:30 am when two or three militants attacked the garrison,” Joshi said the militants were detected when they were cutting the fence. Real heroes! Respect and gratitude for the brave officer. Rest easy Brother. Sat sat naman. 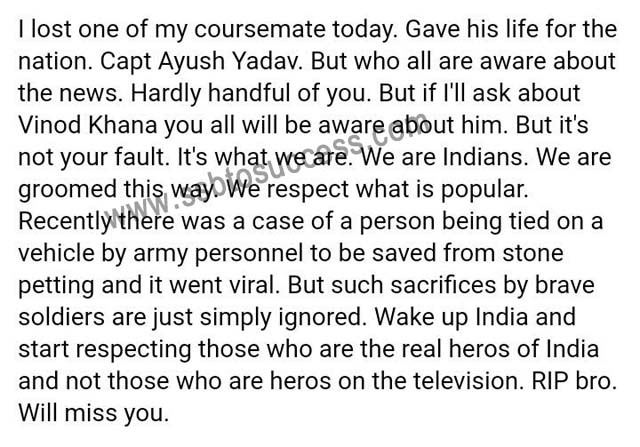 An NDA pass-out captain writes for his friend and brother Captain Ayush Yadav who lost his life in a militant attack in Kupwada. Feel proud to share the story to those whom you want to be inspired and Join the Defense Forces with determination.